Bridget Benton Carwyn is a Certified Shadow Work® Facilitator and Coach specializing in creativity and women’s sexuality, and has been guiding people through transformational creative experiences since 2003. Bridget’s passion is helping people find and exercise their own authentic creative voice – whether for artmaking or personal growth. Bridget was first introduced to Shadow Work in 2014 by her soon-to-be husband, Giles Carwyn. She was struck by the simplicity and depth of the model. 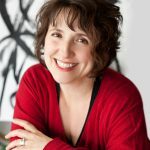 She not only began using Shadow Work principles in her own practice as an artist and creativity coach, but saw first-hand the ways that she and Giles were able to use Shadow Work tools to make their relationship better! Pursuing her interest in applying Shadow Work to relationship and sexuality, Bridget has worked with Eros Work co-creators Cliff Barry, Giles Carwyn, Nathalie Jackson and Heidi Leoppky to develop, refine, and facilitate the experiential Eros Work Weekend (a four-day event that allows men and women to safely explore their sexual shadows together). Since 2016, Bridget and Giles have facilitated numerous co-gender events together, including Shadow Work and Eros Work Weekends. Bridget also teams with female facilitators in the US and Canada to present Shadow Work and Eros Work events for women. In addition to practicing Shadow Work, Bridget remains a working artist and art instructor and is currently a resident artist at 310 Art in the Asheville River Arts District. Bridget’s artwork maps the internal landscape – exploring themes of love, home, and belonging. She holds a BA in Studio Art and an MS in Creative Studies (the applied work of facilitating and engaging creative processes) and is a Certified FourSight® Facilitator. FourSight is an assessment tool for identifying creative problem solving preferences, and Bridget combines this method with the Shadow Work archetypes to provide insight into creative blocks for her students and clients. She is the author of the workshop-in-a-book The Creative Conversation: ArtMaking as Playful Prayer, a guide to more intuitive artmaking and winner of a 2012 Nautilus Book Awards Gold Medal. Giles and Bridget are wonderful. They really have a gift. They are intuitive, skilled, and really, really supportive. They balance one another very well and are absolutely safe to do this work with. I would recommend them to anyone thinking about trying Eros Work. I had the good fortune to participate in Shadow Work Transformation intensive workshop this weekend. What led me back after previous a experience, was the depth of the work that I had accomplished in a relatively short time. If you are looking to expedite your journey inward, Bridget and Giles are powerful, creative, balanced guides to assist on your trip. Big hug of deep gratitude my warrior brother and sister. I can honestly say this is the deepest work I have ever done. I can feel it in my body and the body doesn’t lie, so I know that I had a life altering experience. I was so impressed with the level of safety Giles and Bridget created that I wouldn’t hesitate to send any of my clients here to do some deep work. They are amazing people.